"As long as the candle is burning there is still time to work and repair." 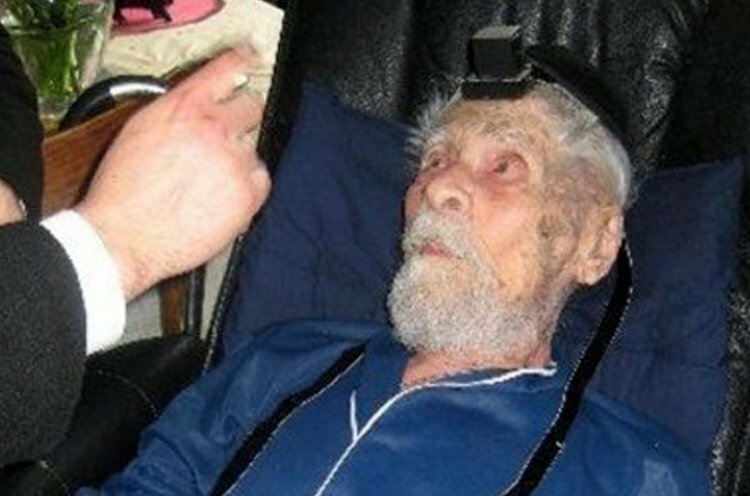 Alexander Aimitz is the oldest man in the United States and second to oldest in the world! Last year, on his 110th birthday, Aimitz was awarded the title, ‘oldest man in the US, and second to oldest in the world’, and received a visit from the Senator of New York. This year, after nearly 100 years of not having an opportunity to wear tefillin since his Bar Mitzvah in Poland, a Chabad emissary, Rabbi Pinny Morozov, gave Aimitz the opportunity to renew the mitzvah. Morozov placed a Mezuzah in Aimitz’s home, in which he has been residing alone since 1965. “He was very happy to see me”, says Morozov, “I don’t think any Rabbi has ever visited him in his home, so this visit was very significant for him.” Morozov added that Aimitz knew the Shema Yisrael verse by heart. Morozov says that he plans on visiting Aimitz before the Passover holiday and bringing him hand-made Matza. He is very excited about the opportunity he received to meet Aimitz and introduce him to Judaism.